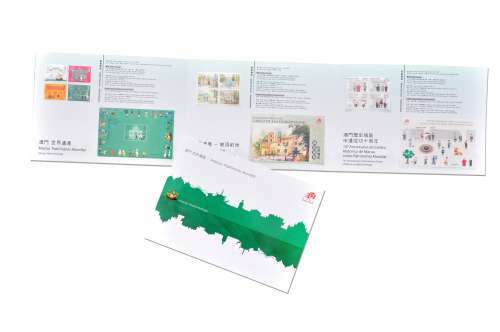 To mark the 10th Anniversary of the Historic Centre of Macao as World Heritage, Macao Post will launch the thematic pack under the theme "Macao World Heritage" on 30th October 2015, containing philatelic products depicting the theme launched by the Maco Post in 2005, 2010 and 2015. This pack will be available for sale at the Philatelic Shop of Macao Post Headquarters, “Rua do Campo” Post Office, Maritime Ferry Terminal Post Office, Airport Post Office, and the Communications Museum. The selling price is MOP120.00 each.